If you’re based in the UK and you’re planning a trip abroad to a tropical country, your doctor may advise you to buy antimalarial tablets. The NHS guidelines advise that preventative medication be used if you are travelling to high-risk areas. Malarone is widely considered to be one of the best and well reviewed antimalarial drugs available, but it is also one of the highest in cost. 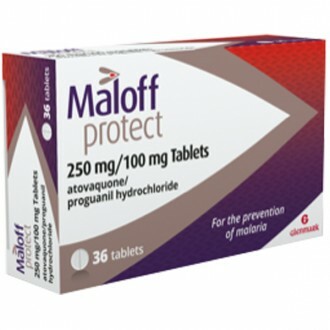 It can not be bought over the counter so why not save yourself the hassle and get a better deal on Malarone online? At the Independent Pharmacy we offer competitive prices on antimalarial drugs with fast delivery and excellent customer service. Find malaria prevention medication online at The Independent Pharmacy. Malaria is a tropical disease caused by parasites that invade the body, typically through an infected mosquito bite. It’s important if you’re travelling to high risk areas to be aware of the symptoms and be extra vigilant. Treatment can be bought subject to our online consultation easily and safely through The Independent Pharmacy. Plasmodium falciparum: This is the most common type of malaria parasite and is found predominantly in Africa. This form of parasite causes the highest number of global deaths from malaria. Plasmodium vivax: This parasite produces milder symptoms when compared with plasmodium falciparum. Plasmodium vivax is mainly found in South America and Asia. Plasmodium oval: This parasite is usually found in West Africa. It is quite uncommon. Plasmodium malaria: A rare parasite that is usually only found in Africa. Plasmodium knowlesi: This is only found in parts of South East Asia and is very rare. Once bitten by an infected mosquito, the malaria parasite will enter your bloodstream. Once the parasites reach your liver the infection will begin to develop. From here, the infection will renter the bloodstream and begin to multiply inside the red blood cells. As the infection grows it will periodically cause the red bloods cells to burst, releasing more parasites into the blood stream. It is the bursting of red blood cells that causes the fever symptoms of malaria. On average it takes between 7-18 days after the initial mosquito bite for the infection to incubate and present the sufferer with any symptoms. However, in some cases it can take up to a year before any symptoms present so travellers should be vigilant for symptoms after returning from their trip. This can often occur in cycles where for the first hour you will feel cold and shivery. Then for the next two to six hours you will suffer a fever accompanied by severe sweating. Diarrhoea and muscle pains can also be symptoms of malaria, however not everyone experiences these. Sustaining an infection from the most common malaria parasites can quickly lead to severe, life threatening complications. This can include problems with breathing and even organ failure. This is why treatment should be promptly sought if an infection is suspected. As stated above, if any of the symptoms of malaria can develop for up to a year (and especially in the first 3 months) on returning from an area with a malaria risk, you should see your GP and ensure you mention your recent travel. If you suspect having malaria or are experiencing any of the symptoms after having recently travelled to an area where malaria is found, then it is important to seek medical advice immediately. A delay in diagnoses and treatment can prove fatal. In fact, in the USA this delay is one of the leading causes of deaths in malaria patients. Malaria will typically be diagnosed based on a your recent travel history coupled with the presenting symptoms. However, for conclusive results a laboratory test must demonstrate the presence of the malaria parasites and their components. This diagnoses can be performed using a microscopic analysis, where a blood smear can be examined under a microscope in order to identify the presence of the malaria parasite. This is usually the preferred and most reliable means of diagnoses. Another method of diagnosing malaria includes the antigen tests. This is usually reserved for areas where microscopic analysis isn’t practical. These commercially available antigen tests are sometimes referred to as ‘Malaria Rapid Detection Tests’. It involves a finger-stick that samples a drop of blood. To complete the test usually take between 15-20 minutes. What medicines are available to prevent Malaria? Taking antimalarials (medicine to prevent infection with the malaria parasite) when you are visiting an area where malaria is present is very important. They should always be taken exactly as instructed by the prescriber and combined with measures to avoid bites. There are multiple regimes of malaria tablets due to differing resistance in different parts of the world. The advice on which regimen to follow for a specific area is constantly updated and you should never assume that a tablet that you have taken before for a specific area is still appropriate unless advised by a healthcare professional. You can buy the following malaria tablets from our Online Pharmacy: Malarone, atovaquone/proguanil (generic Malarone), mefloquine (Lariam), doxycycline, chloroquine (Avloclor), proguanil (Paludrine), and cholorquone/proguanil (Avloclor/Paludrine Travel Pack). To help find out which malaria tablets are required for your trip, visit Fit For Travel, where you can get detailed information on the required antimalarials and vaccines for each country. If you are unsure which malaria tablets to take during your trip due to multiple regimens being recommended, ensure you read all the product information before to ensure you understand the dose and possible side effects of each. In areas where one of either Lariam (mefloquine) or doxycycline or Malarone (atovaquone/proguanil) are recommended, you are generally least likely to experience side effects with Malarone (or generic atovaquone/proguanil). However, Malarone must be taken daily so this must also be considered as it must be taken regularly to get maximal protection against malaria. Malarone contains atovaquone & proguanil and is available as the brand ‘Malarone’ or as a generic tablet simply called Atovaquone & Proguanil. This generic form is sometimes referred to as ‘generic Malarone’. The dose is one tablet every day, starting 2 days before entering the malaria area and continuing until 7 days after leaving. 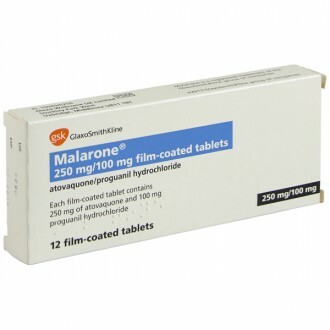 Malarone is the most expensive antimalarial tablet, however it tends to the best tolerated with the least side effects. Buying generic Malarone (Atovaquone & Proguanil) can help to make them more affordable. A child’s dose may differ to that of an adult and will be dependant of age and weight. Malarone is available in a paediatric strength, making these differing doses easier to achieve. Children that require antimalarial treatment should see a doctor face-to-face. Malarone is not recommended if you are pregnant or breastfeeding or if you suffer from severe kidney disease. 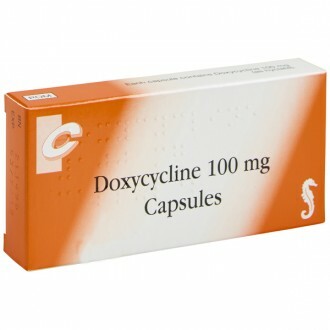 Doxycycline a generic treatment that is taken as one capsule every day, starting 2 days prior to entering the malaria area and continuing for 4 weeks after leaving. Doxycycline is a cheaper option for antimalarial cover, however it can cause the skin to become sensitive to sunlight meaning you will burn very quickly. For those with pale skin, this may not be suitable in more tropical climates where malaria is present. It is advisable for anyone taking doxycycline to use high factor suncream (SPF 50+) when going out in the sun. Doxycycline Capsules are not recommended for pregnant or breastfeeding women or for children under the age of twelve years. 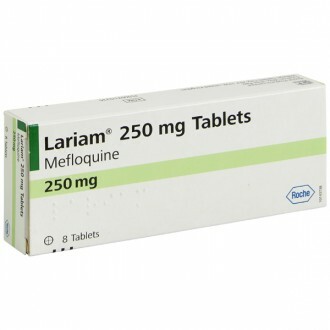 Lariam tablets contain the ingredient mefloquine. The adult dose is to take one tablet weekly, starting three weeks before entering the malaria area and continuing for four weeks after leaving. Lariam tablets are not recommended if you suffer from epilepsy, seizures or mental health conditions, such as depression. 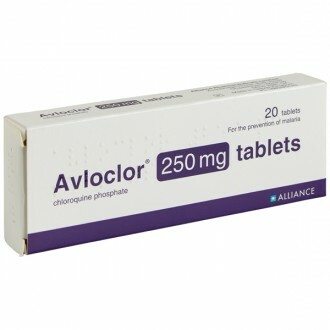 Chloroquine (Avloclor) & Proguanil (Paludrine) can be used in combination or separately to prevent malaria, however they aren’t as commonly used these days as they are considered ineffective against the most common form of malarial parasite (plasmodium falciparum). However, Chloroquine and/or Proguanil will still be recommended in such areas where the plasmodium falciparum is less common. These areas include India and Sri Lanka. Many of the above antimalarial treatments can be used to treat as well as prevent malaria. If an infection has been diagnosed then rapid, appropriate treatment should ensure a full recovery. You should never try to treat malaria with your preventative treatment. Malaria is a medical emergency that requires rapid, professional treatment. Malaria can be prevented should the appropriate precautions be taken. Using the ABCD approach can help reduce the risk of contracting the infection. Awareness of risk: research whether your destination carries a risk of malaria. Bite prevention strategies: Avoid mosquito bites by using insect repellents (containing 50% DEET), mosquito nets and long, loose clothing. Examples of available products include; repellent sprays, lotions and plug-ins, and mosquito nets. Wear loose-fitting clothing that covers the arms, legs and body, especially at night when the mosquitos are more prone to biting. Check whether you need to take antimalarial prevention tablets: If needed, make sure the correct medicine is taken at the correct dose and ensure the course in completed as directed. Diagnoses: If malaria symptoms should develop, seek medical attention immediately. This will include up to a year after leaving a malaria zone. Avoid outings at night – Anopheles mosquitoes are night feeders. They typically remain active from dusk to dawn. Use strong insect repellents – If you must step out after dark, use a strong mosquito repellent containing DEET. Dress from head to toe – Full-sleeved cotton shirts and full-length bottoms are the preferred attire despite the heat and humidity. Loose fitting clothing is best to prevent being bitten through the material. Use mosquito repellents inside the house – Burning coils or vaporizing mats containing mosquito repellents help keep these pests away. Sleep under protective nets impregnated with insecticides – Even when repellents are used inside the house and on the person, everyone should sleep under protective nets that have been treated with insecticides. Prevent malaria through chemoprophylaxis – Antimalarial tablets can be used as a preventive measure as they help suppress the parasite growth and their multiplication in the blood. Malaria is a tropical disease caused by a parasite called plasmodium. It is carried by mosquitos and transferred when they bite you. It causes symptoms of fever, headaches, nausea, muscle pains and diarrhoea. It is very serious and requires urgent medical attention. Malaria parasites are picked up by the female Anopheles mosquitoes from people who are already infected with malaria. Female Anopheles mosquitoes bite people in order to get the blood they require for nurturing their eggs. Once inside the mosquito’s body, the parasite reproduces rapidly. When a mosquito with the parasite in its saliva bites someone, the parasite is transmitted into the host’s blood. The parasite then moves on to the host’s liver and reproduces there, causing fever, chills, and in extreme cases, coma and death. Does getting bitten by a mosquito mean I will develop Malaria? The malaria parasite is only carried by the female anopheles mosquito therefore not all mosquito bites will result in malaria. The male anopheles mosquito does not bite and the other species of mosquito do not carry the parasite at all. This is not a reason for a casual approach to bite avoidance – all mosquito bites should be avoided- but anti-malaria tablets will help to prevent malaria if you do get bitten. Mosquitos are most active from dusk through to early sunrise. Use bite avoidance measures such as insect repellents, mosquito coils, and nets as well as wearing long, loose fitting clothes to prevent bites. Higher concentrations of DEET (the active ingredient in repellents) are recommended for wet conditions, hot environments or if you suffer from excessive perspiration (when there is a greater chance of it being washed away). Which countries around the world are Malaria hotspots? Malaria is most common in the tropical and subtropical parts of the world, where rainfall and warm temperatures provide an ideal breeding ground for mosquitoes. The Anopheles mosquito needs a hot, humid climate to reproduce and is found in South-East Asia, Pacific Islands, Africa, Central and South America and the Caribbean. Can I take the same antimalarials if I am going to different Malaria zones around the world? Malaria is a disease that can be caused by 4 different types of plasmodium parasite. Some antimalarials are more effective at treating one type of malaria than another. Therefore the required malaria tablets will differ depending on the country you are visiting. This information is updated regularly and we recommended you check on fitfortravel.nhs.uk for the most up to date travel health information. If I have Malaria should I be worried about infecting others? Malaria is a blood-bourne disease that is only transmitted through mosquito bites, dirty needles, blood transfusions and during delivery in pregnancy. It is not contagious and cannot be passed on like the common cold. Once bitten, how long will it take for the symptoms to develop? Once bitten by an infected female Anopheles mosquito, the symptoms of malaria can take 1 to 4 weeks to develop. The parasites that cause malaria can lie dormant in the liver and not produce symptoms for up to a year and sometimes this can cause re-infection of the disease. It is therefore important to see your GP urgently if you develop the symptoms of malaria within a year (especially within 3 months) of returning from a country where there is a malaria risk. How can be sure that if I get these symptoms, it is Malaria? You need to have a blood test to know if you have malaria. The parasite will be visible in the red blood cells under a microscope. This is the only definitive way to diagnose malaria. If you are suffering with any symptoms that may be due to malaria, it is extremely important to seek urgent medical attention. Can I use antimalarial tablets for long periods of time and is it safe to do so? Antimalarial tablets have been shown to be tolerated for a year or more. If you require treatment for a year or more you should see your GP for specialist advice. Can I get the best price for antimalarials in the country I will be travelling in? When travelling abroad to a malaria zone, you need to start taking the malaria tablets before you enter to ensure you have sufficient medication in your system to give you protection against the malaria parasite. It is advisable to get them before you travel. Additionally, medicines and pharmacies are heavily regulated in the UK. There is an audit trail of the manufacture, their storage conditions and their supply to ensure your safety. The medicines you buy abroad may not be as well controlled and you may purchase inferior quality medication that can be out of date, counterfeit or simply may not work. Can I get vaccinated against Malaria? Unfortunately there is not currently a vaccine against malaria but this is being researched and scientists are making progress in development. At present the only way to prevent malaria is by antimalarial tablets, eradication of mosquitoes and prevention of mosquito bites. What is the best advice for pregnant mothers travelling to Malaria prevalent areas? Travel to malaria zones is best avoided in pregnancy as the disease can cause still-birth, premature birth or miscarriage. 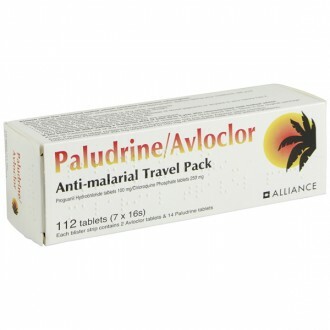 If travelling to a malaria zone cannot be avoided then antimalarial medication is recommended. Pregnant women should see their GP to discuss the most appropriate regime of antimalarials. If I am taking antimalarials and breast-feeding, will my baby be protected? Some medications pass through the baby via breast milk but the amount will be too small to protect against the disease. Breastfeeding mothers with young children should consult their GP regarding antimalarial requirements. If I catch Malaria will I have it for the rest of my life? Malaria is curable with the right treatment in a timely manner. Different strains are prevalent in different parts of the world meaning different options are used for its treatment and prevention. Delaying treatment or using the wrong treatment can prolong the disease and can be dangerous. The strain P. falciparum is the most dangerous as it may have fatal consequences. P. vivax and P. ovale are not as dangerous as P. falciparum but can lie dormant for long periods of time in the liver and may cause relapses of the disease. P. malariae can be in the blood of untreated individuals for many years sometimes decades. No matter the strain of malaria, it has potential to be cured with fast, effective treatment administered by a medical professional. It is extremely important to seek urgent medical attention if you suffer with any of the malaria symptoms when travelling or after return. Can you successfully cure/treat Malaria? Yes, malaria is treatable but the process can be quite long and the disease can be fatal. Prevention is always better than cure. What steps can I take to prevent getting Malaria when travelling? Use the recommended antimalarial medicine for your destination and using effective bite avoidance measures such as insect repellents containing DEET, sleeping under mosquito nets and covering up between dusk and dawn will all help to significantly reduce the risk of contracting malaria. See our 'Prevention' section for more detailed advice. What medication is available to prevent Malaria? The medicines that are available to prevent malaria include Malarone (and generic atovaquone/proguanil), doxycycline, mefloquine (Lariam), chloroquine (Avloclor) and proguanil (Paludrine). Is it safe to buy Malaria tablets online? Yes, as long as you are buying from a website that is a legally operating and regulated pharmacy it is perfectly safe to buy malaria tablets online. The Independent Pharmacy is an NHS Online Pharmacy based in Bristol and has all the necessary regulation to be able to safely provide convenient access to genuine prescription malaria tablets through our Online Pharmacy. With so many different antimalarials to choose from, which is the best one to take? There are 4 different types of parasite that cause malaria in different parts of the world; hence the medication used to prevent malaria varies according to you destination. The treatments may change according to the updated information depending on current levels of resistance. It always best to check first before purchasing your antimalarials, even if you have used them for your destination previously. Use fitfortravel.nhs.uk for up to date information on the right medication to take for the area that you will be travelling to. Each antimalarial has its own pros and cons; Malarone is the most expensive but tends to have the least side effects whilst doxycycline is the cheapest but can make you burn very easily in the sun. Once you have found which antimalarial(s) are suitable for your trip, you should read the information on each individual product carefully before making your decision. How long do I have to take the antimalarial tablets for? This varies on the medication you are taking. All malaria tablets start at least two days before you enter the malaria zones, whilst you are there and for at least a week after you leave the area. It is important to take the tablets at regular intervals as directed and to finish the course. Malarone (and generic atovaquone/proguanil) is taken once daily starting only 2 days before you travel, during your travel and for 1 week after you return. Doxycycline is taken one capsule daily, starting 2 days before your trip, during your trip and continuing for 4 weeks after you get back. Mefloquine (Lariam) only needs to be taken one tablet weekly, starting 3 weeks before the trip, continuing during your travel and for 4 weeks after you return. Chloroqine tablets are taken 2 tablets weekly starting 1 week before travel, whilst you are in the malaria zone for 4 weeks after exiting the malaria zone. 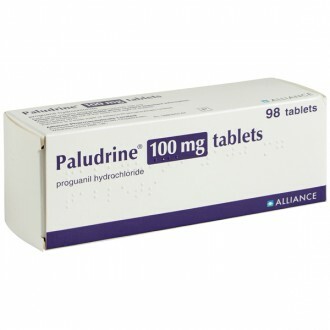 Chloroquine/Paludrine travel pack is taken as 2 chloroquine tablets weekly and 2 paludrine tablets daily. It should be started 1 week before travel, continued for the time you are there and for 4 weeks after returning. Are there any side effects associated with Malaria tablets? 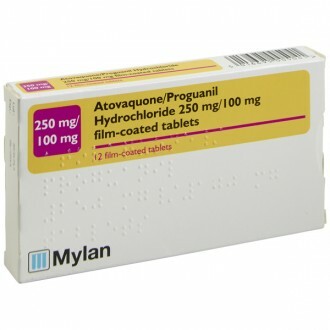 Malarone (atovaquone/proguanil) is very well tolerated and usually the side effects are rare. If you do experience any unwanted effects they can include stomach upset, headache skin rash and mouth ulcers. Side effects can sometimes be reduced by taking Malarone with food. Doxycycline treatment can cause your skin to show increased sensitivity to UV sunlight. This means that you will burn much quicker on exposure to the sun than normal. Most malaria zones exist in warmer climates, as this is where mosquitoes thrive. To counteract this you should wear a high factor sun block (SPF 50), try to cover exposed skin and stay out of the sun when it is strongest between 11am-3pm. Other mild side effects that are reported with doxycycline treatment include stomach upset, indigestion and thrush. Mefloquine (Lariam) needs to be avoided by those who have suffered from (or have a close family member who suffers from) mental illness and those who are epileptic because it can cause vivid dreams and sleep disturbance, mood changes and anxiety. What is the difference between Malarone and generic atovaquone/proguanil? Atovaquone/proguanil are the two ingredients contained in Malarone tablets. When the exclusive patent expired for Malarone tablets, other manufacturers could also produce tablets containing atovaquone/proguanil without the brand name Malarone. This means you can get the medically identical, unbranded medicine at a significant reduction of the branded price. Can you acquire immunity to Malaria? People who live in areas where malaria is prevalent can acquire some partial level of immunity. This usually happens from a young age however, there is no way to tell or guarantees. Partial immunity to malaria can wear off; those born in a malaria-risk area who leave for a significant period should not assume that they still have a level of immunity. You should never assume you are immune to malaria, it is always best to take antimalarials and avoid bites as a precaution. How long does immunity last for? If a level of immunity has been acquired since an early age this diminishes quickly when the person no longer lives in the malaria area. People returning to countries of their birth that carry a malaria risk should not assume they have immunity. Antimalarial tablets are always required in these cases. Malaria destroys red blood cells and clogs the capillaries (blood vessels) that supply blood to the brain and other major body organs. If not treated in a timely manner, this may prove fatal. Are there different types of Malaria? Plasmodium falciparum is the most dangerous and fatal type of malaria. Each type of malaria occurs in different parts of the world requires different preventative medicines, therefore it is important to check which malaria tablets you require for your trip. If I catch Malaria, how is it commonly treated? Malaria that is not severe or complicated in nature can be treated through oral medications. Artemisinins in combination with other antimalarial medication, such as amodiaquine, lumefantrine, mefloquine, etc. are an effective treatment against malaria. In case of severe malaria, doctors prescribe intravenous administration of antimalarial treatments, including artesunate administration in a critical care unit, where the patient may be monitored for other manifestations of the disease such as low blood potassium and seizures. Are Malaria and Yellow Fever the same illness? No, malaria and yellow fever are not the same illness, though they are spread in a similar way. Malaria is caused by a parasite that gets inside your bloodstream and causes illness. This disease can be fatal if medical attention is not sought fast enough. Yellow Fever is a virus, also spread by mosquitos, which is of typically short duration. Symptoms usually include fever, chills, loss of appetite, nausea, muscle pains and headaches. They usually improve within five days. Which countries usually present a risk of catching malaria? Malaria outbreaks can happen, with little warning, in many countries. Some countries regularly pose a risk of contracting malaria, including Ghana, Nigeria, Tanzania, Thailand, Ethiopia, Uganda, Kenya, Zambia, Zimbabwe, Vietnam, Honduras and parts of southern and eastern India. However, you should double check with a trained travel nurse, or view the latest travel map to find out about recent endemics before deciding whether or not you need anti-malarial treatment for your travels. Is there a link between the dengue virus and malaria? There is no link between the two viruses, though they are both spread by mosquitos. There are four types of dengue virus, and it spreads easily in tropical areas. Dengue can also be spread from human to human, by blood transfusions, organ donations or contact with bodily fluids. One of the main symptoms of dengue, other than flu-like symptoms, is a severe pain behind the eyes and in the head, and sensitivity to light. Are children at a higher risk of contracting malaria? In high-transmission areas of the world, children under the age of five (including infants, babies and toddlers) are one of the most vulnerable groups. A large proportion of malaria deaths worldwide occur in children. The majority of malaria cases are associated with a degree of anemia, and the severity of the anemia depends on the patient’s characteristics, including age, resistance, comorbid features) and parasite-specific characteristics, such as species and drug-resistance. Malarial anemia can cause severe morbidity and mortality, especially in vulnerable groups like pregnant women and children.